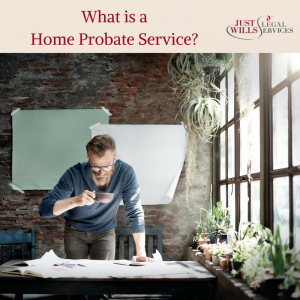 What is a Home Probate Service? Are you responsible for distributing an estate of someone who has passed away? Here we’ve listed what you need to do and your responsibilities. Formally, the term “probate” is the financial and legal process used when dealing with and distributing an estate of someone who has passed away. The definition can vary slightly in different countries (such as the USA) so bear that in mind when doing your own independent research. If there is a valid Will, does it name Executors? If so the Executors are responsible for the correct administration of an estate. If there is no Will or appointed Executor then the law states that a relative can administer the estate. If relatives can’t agree on who it should be then priority is given to the closest adult relative, starting with the spouse or registered civil partner). For someone to have the right to deal with the estate of the deceased, they must obtain a “Grant of Representation”. Here we lay out the key steps you need to take to achieve this, and follow up on what to do afterwards. Again, the best advice will always come from one-to-one consultations with your legal team and the deceased solicitors. The information given here is simply a guideline that is non-specific to individual circumstances. In this time of great sadness, it’s important to not forget to register the death and obtain a death certificate. Without this it’s impossible to get the ball rolling in obtaining probate and start handling the estate in line with the wishes of the deceased. If you are named as an executor then you must apply for a grant of probate. You can do this online and all this means is that you have the legal right and responsibility for the correct administration of an estate. If the deceased left no Will then the estate is managed by the laws of intestacy. These laws determine who may apply to the Court of Administrators in order to obtain a Grant of Letters of Administration. Whoever that is (usually the deceased next of kin) then obtains the legal authority to administer the estate. Executors and administrators have the same functions and both are classed as “personal representatives”, as both have obtained a type of Grant of Representation. The role of a personal representative. The personal representative is liable for ensuring that the estate is distributed and accounted for accurately. What this means in practice is if you make a mistake HMRC will insist you to rectify it from your own funds. Here is a list of responsibilities that the representative must take on board. Download our guide – The Role of an Executor for a more in-depth insight into what’s involved. Terminate all investments of the deceased. Close any active bank accounts. Use the estate to pay off debts and liabilities of the deceased. Distribute all personal effects and property in line with the wishes in the Will. Paying legacies and finalising the distribution of the estate to the beneficiaries identified in the Will. If you are named as an executor in a Will or become an administrator of a Will then we can help you administer an estate. We understand that the entire process can be exhausting and challenging, especially given the emotional circumstances. With paying IHT as part of the legal duties of an administrator, we can help guide and advise you on what to do to ensure you benefit as much as you can. This is especially important given the new changes to IHT that were recently introduced. To, book a free consultation with one of our legal experts across the UK; book online or call 01342 477 102 and quote ‘Home Probate Blog‘.